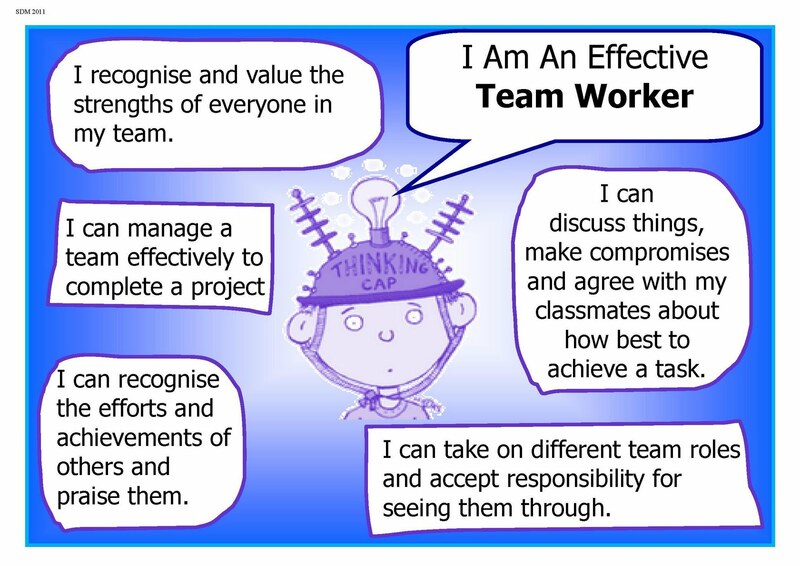 Integrated Curriculum Tools: Are You an Effective Team Worker? 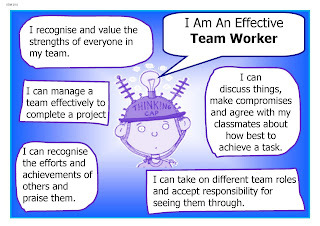 Are You an Effective Team Worker? discuss things, make compromises agree with your classmates about how best to achieve a task? question your own and other peoples assumptions so that you might find a better solution to a problem? you respond maturely to constructive criticism and use it to agree solutions to problems? Do you know your own strengths and weaknesses (and those of your friends) so that you can create a strong team? Use your Site or Blog to display and share evidence of learning. Upload Photographs, screenshots, videos, statements that link these to the statements from each area of learning you think they relate to. Are You an Independent Enquirer? Are you an Effective Self Manager? Are You a Reflective Learner?